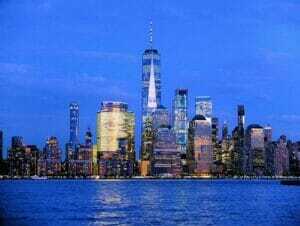 The Hudson River Dinner Cruise in New York is good value for money. 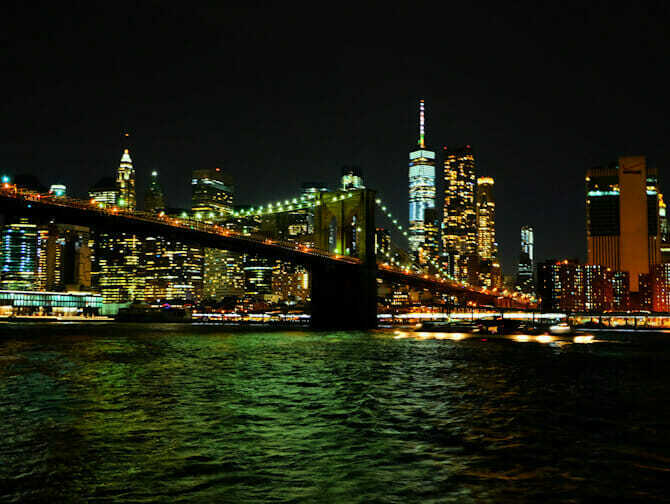 For two hours you cruise in a yacht over the Hudson and East River whilst enjoying a three course meal. 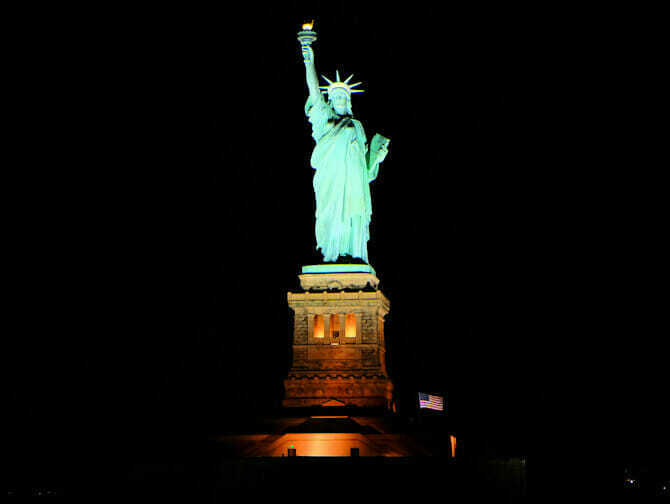 Along the route, take in the beautiful Manhattan skyline as you pass the Statue of Liberty and many other famous landmarks. The boat departs from the west side of Manhattan, in the vicinity of Times Square and heads past Downtown. During the tour you’ll see a number of iconic buildings and bridges, such as One World Trade Center and the Brooklyn and Manhattan Bridges. The yacht then turns around and heads back to the departure point. The starters are served shortly after the yacht departs from the harbour. The diverse menu offers something for everyone with a focus on fresh, local ingredients. In addition, there are a few interesting upgrade options available: like the option to add a wine arrangement or an open bar. Furthermore, you can go all out and book the VIP-option, with an extensive open bar and guaranteed window seating. Eric’s Tip: The boat departs at 19:00 but it is possible to board an hour earlier. I recommend making use of this hour to get familiar with the yacht and have a drink on the outer deck before the dinner is served.